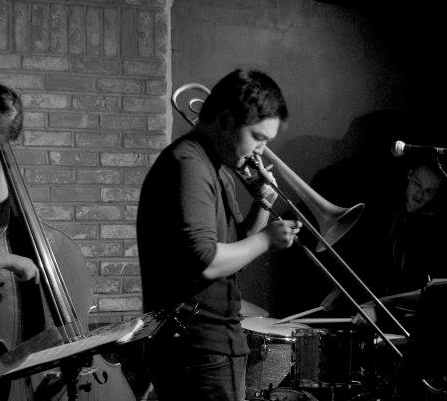 Trombonist/composer/arranger Jon Hatamiya will showcase his distinct fusion of jazz, rock and electronica on Monday, June 29, at 9 p.m. at the Blue Whale, 123 Astronaut E.S. Onizuka St., Suite 301, in Little Tokyo. Hatamiya will be joined by Alex Hahn (alto sax/soprano sax), Ramsey Castaneda (tenor sax), Ryan DeWeese (trumpet), Chase Jackson (vibraphone), Jacob Mann (piano/keys/synths/one-minute jazz lessons), Colin Cook (guitar), John Snow (electric bass), and Colin McDaniel (drums). Originally from the Sacramento area, Hatamiya has performed with the likes of the Dave Matthews Band and the Jazz at Lincoln Center Orchestra with Wynton Marsalis. Admission is $10 at the door. Must be 21 or older.